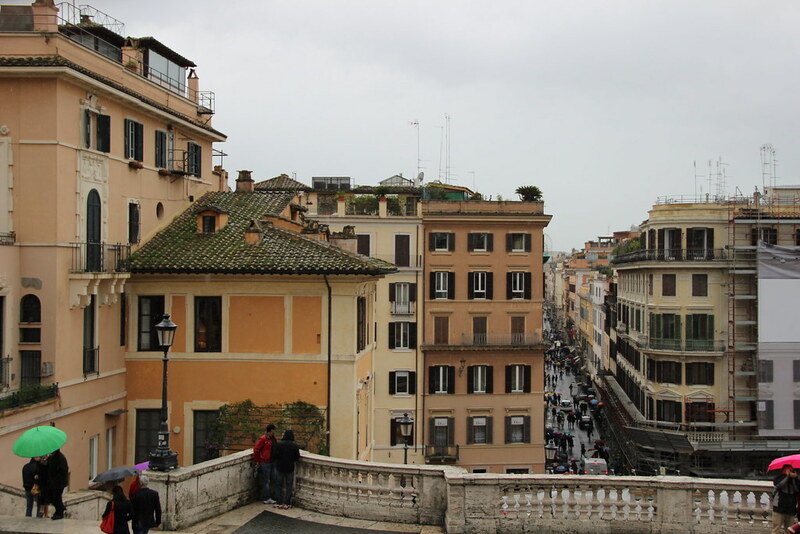 My last morning in Rome during my weekend visit there through AIFS (my study abroad program here). 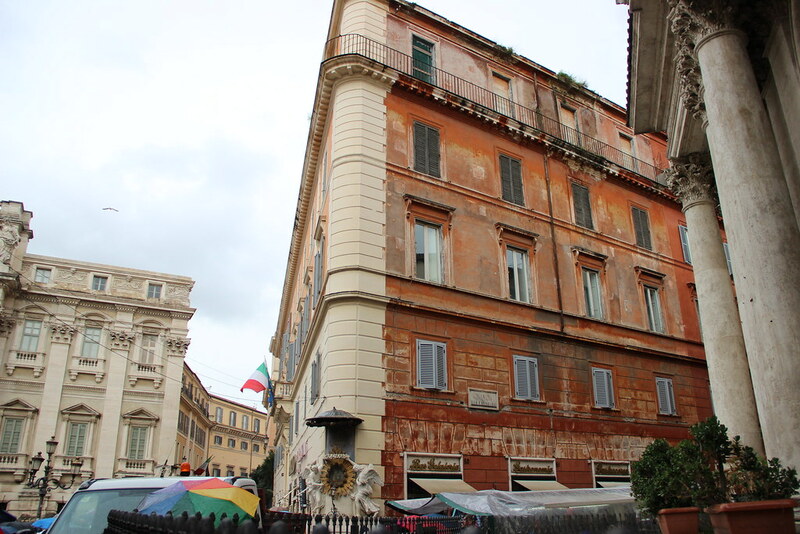 I visited the Borghese Gallery with some buddies thanks to a recommendation from a teacher. It’s so beautiful and gorgeous, I absolutely loved it. 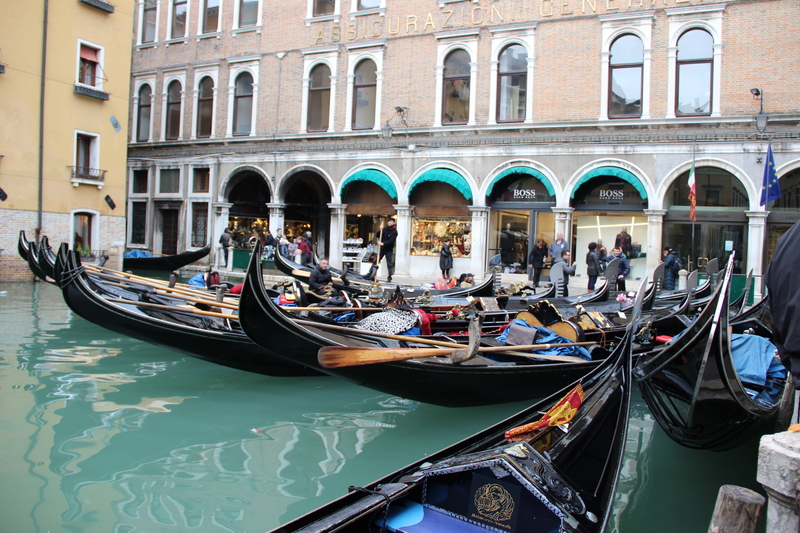 There are only two floors of artwork, the painting gallery and the sculpture gallery. There’s also a 2 hour time limit, and tickets need to be booked ahead of time, here. I’m an art kid, and I’ve spend many an hour in a gallery scribbling up a gallery review or sketching pieces. I honestly have to say that the Borghese is my favourite gallery of all time — the time limit seems counter intuitive, but it’s nice to not have to worry that you didn’t spend enough time there, and the size of the gallery is appropriate in terms of the time limit. It’s so pretty, and the actual pieces inside the gallery really appealed to me personally. 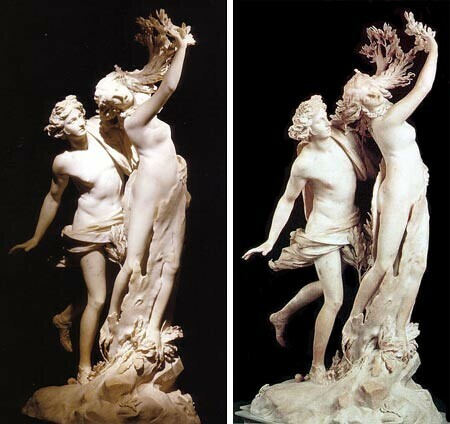 Go to see Bernini’s Apollo and Daphne. It’s an amazing sculpture carved out of ONE BLOCK of marble. That is so incomprehensible on its own. 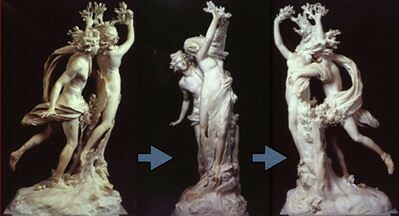 This piece depicts the nymph Daphne escaping the amorous advances of Apollo, who is being very insistent, to put it mildly. Daphne cries out to her river god father for help, and (as my teacher put it) “wildly overreacts” and transforms her into a tree. 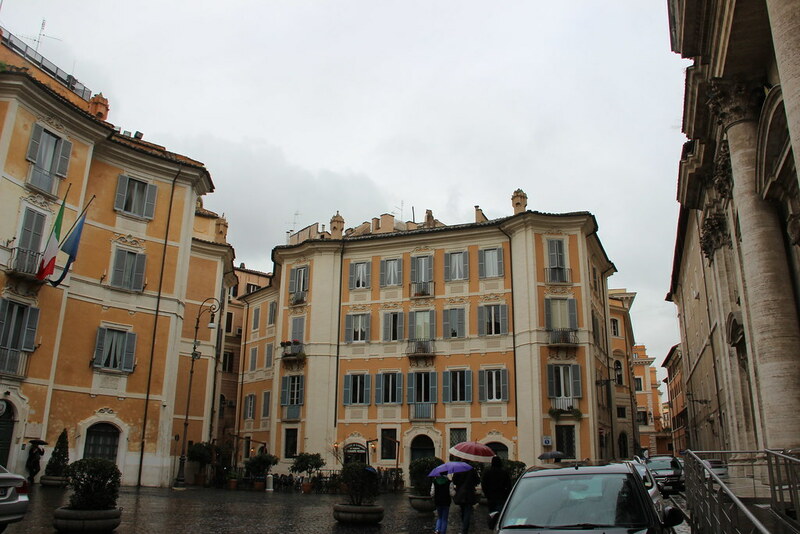 Bernini was an incredibly skilled artist. He even used the movement of the viewer to create motion in this piece. As you walk around the piece counter-clockwise, the nymph appears to change into a tree. 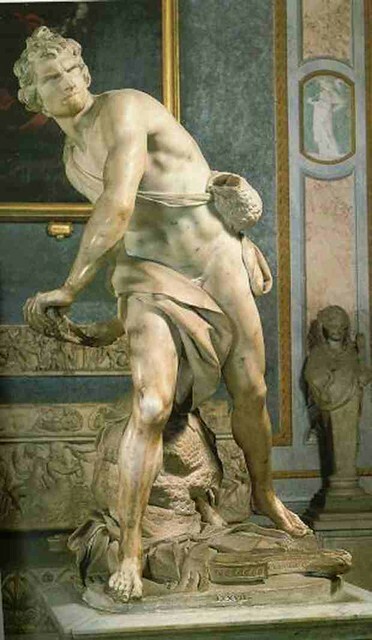 Bernini’s David (also an amazing sculpture!) is actually a self-portrait. The expression on the face is incredibly true to the emotion of concentration. I love this sculpture. My Italian Renaissance Teacher said “there are a million things in there, but that doensn’t matter because you only need to see two things.” Those are Bernini’s Apollo and Daphne and his David. 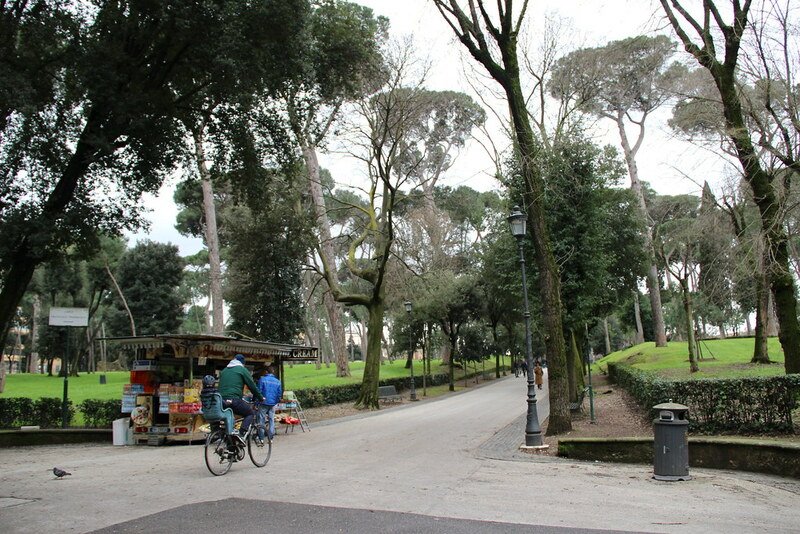 Jen H., Tyler A. and I took a quick stroll around the Villa Borghese Gardens. 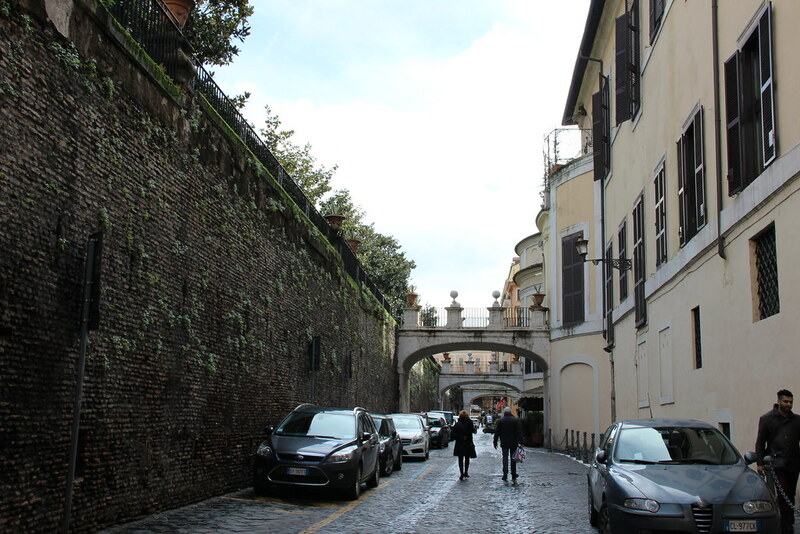 Some portion of the city walls as we leave the gardens and walk back into the centre of the city. 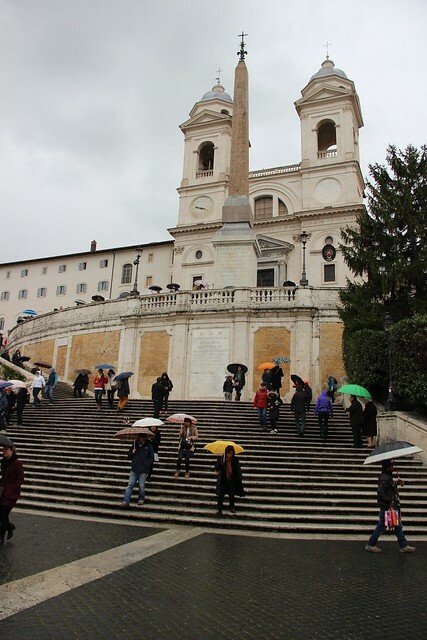 We walked to the Spanish Steps. 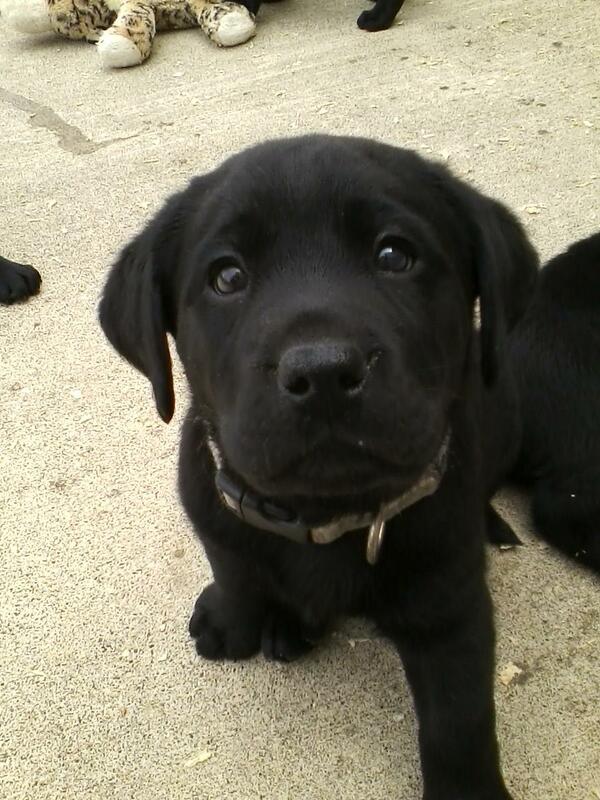 Me on the steps. They’re pretty much only famous because of that one movie, Roman Holiday. 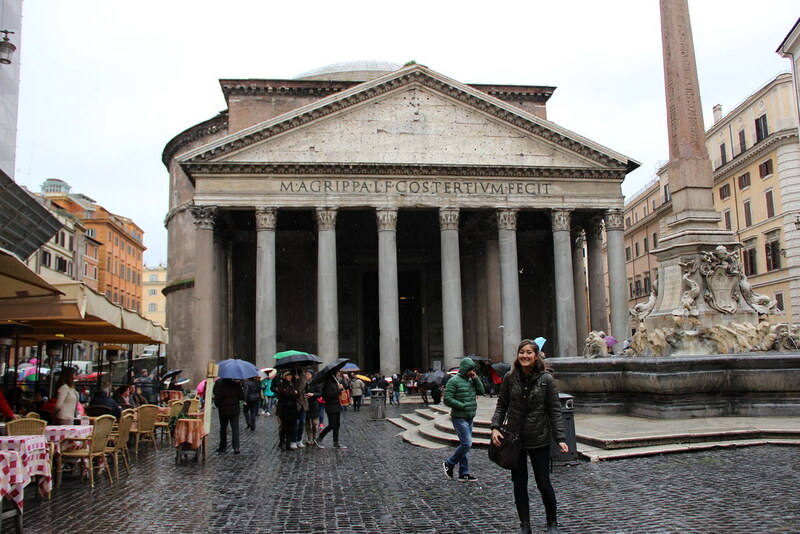 We then walked to the Pantheon. 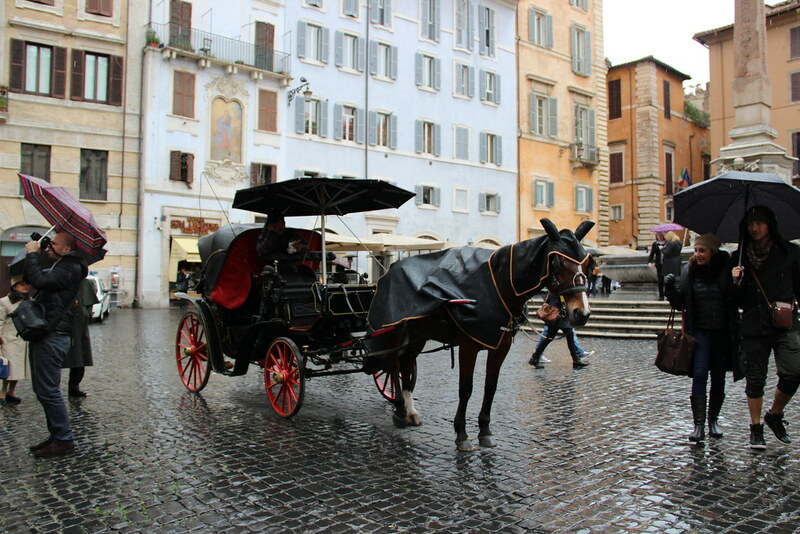 The horses had raincoats on! 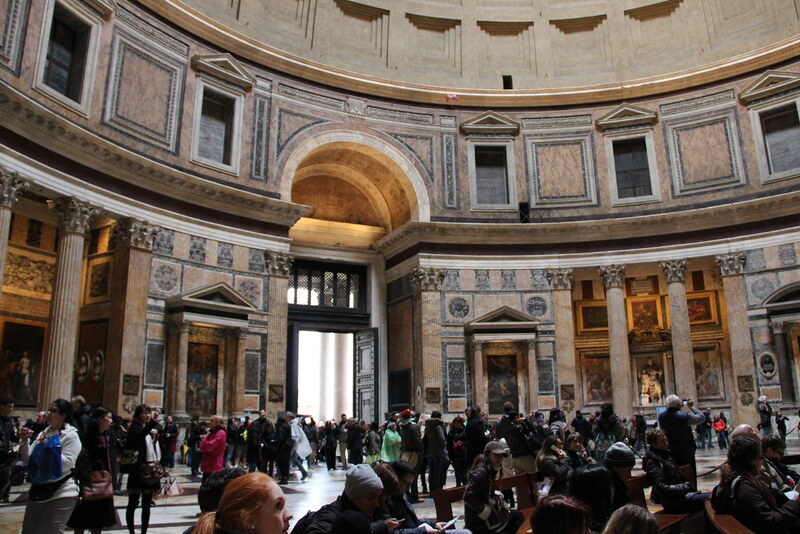 Inside the Pantheon; there’s an opening in the ceiling, so when it rains it rains within the Pantheon. 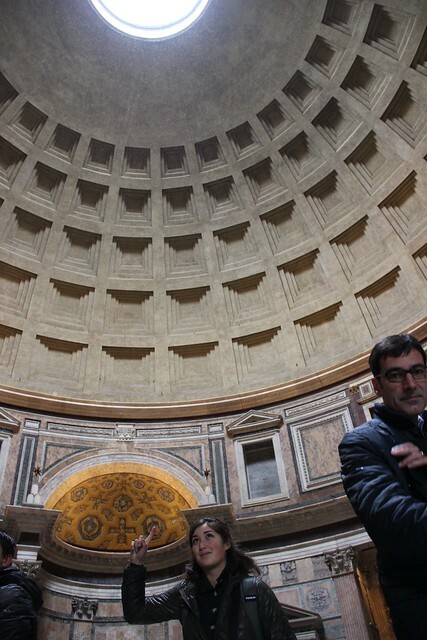 The Pantheon was built about 2,000 years ago, and still possesses the largest, unreinforced concrete dome. 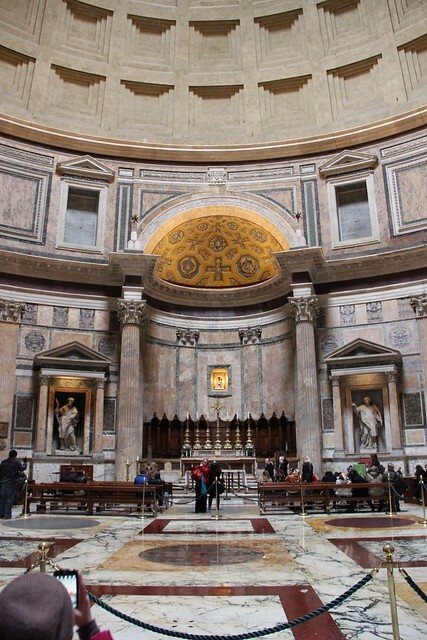 Interior view of the front doors of the Pantheon. 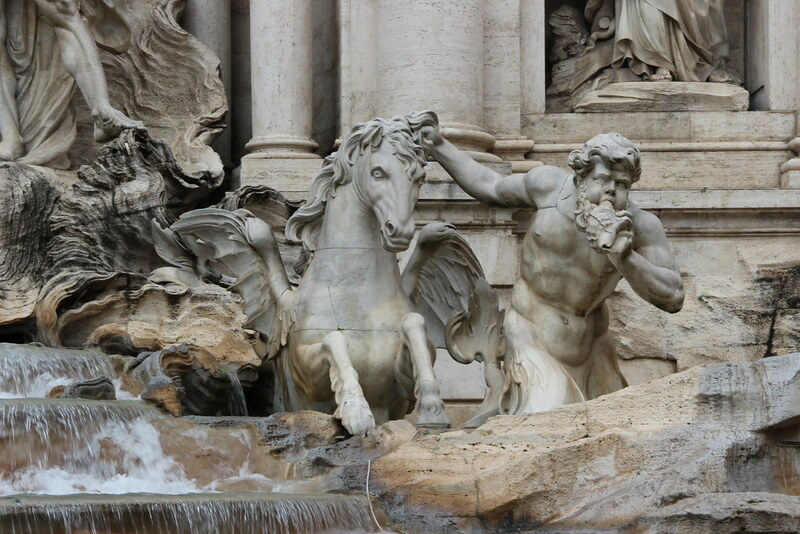 Last visit to the Trevi Fountain. 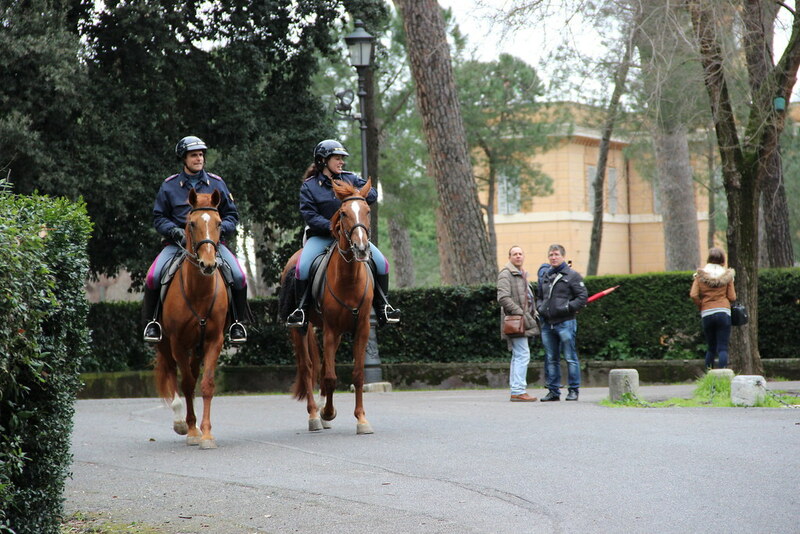 The horses are definitely hybrids of some sort. My jog back to the hotel. 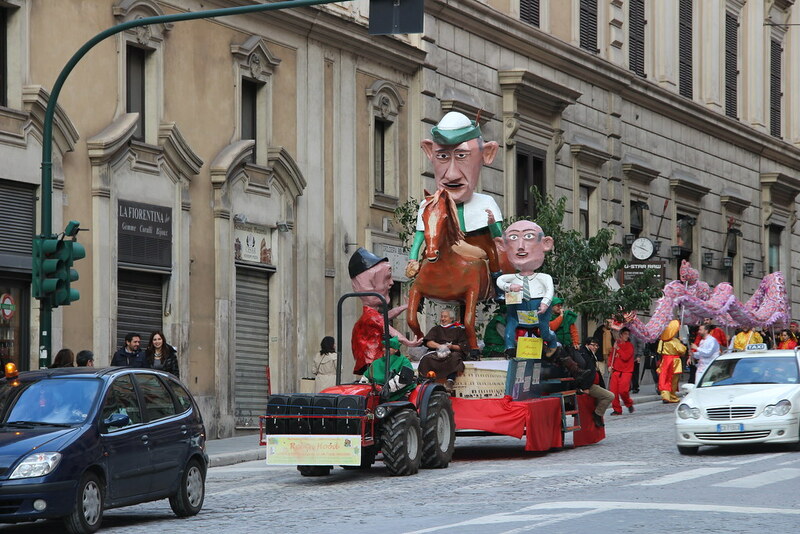 There was some sort of parade as we loaded up on the bus to the train station. 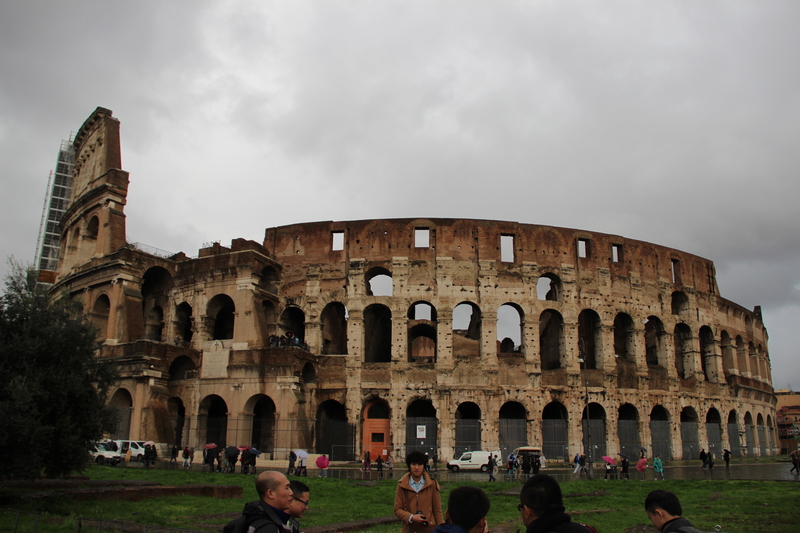 My thoughts on Rome: It was interesting to see, and I definitely got a lot of mixed feed back from all of my classmates. 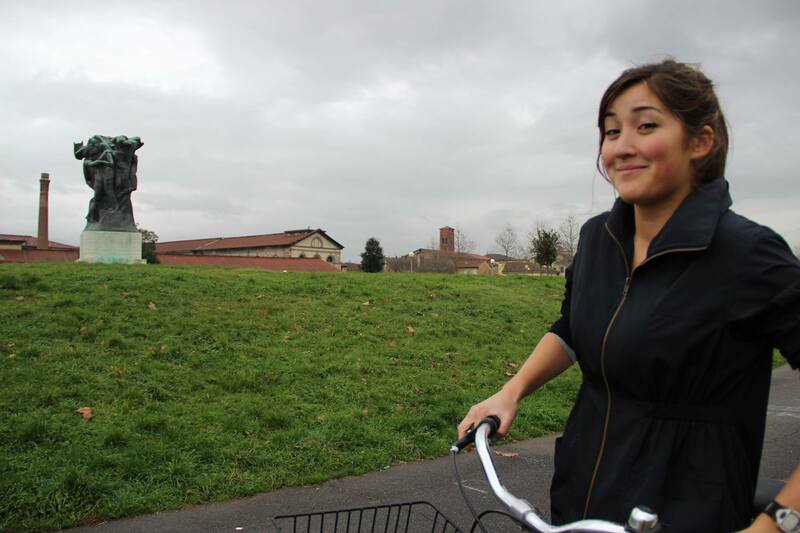 Most of them really loved it, and a number of them thought they’d prefer studying abroad in Rome. 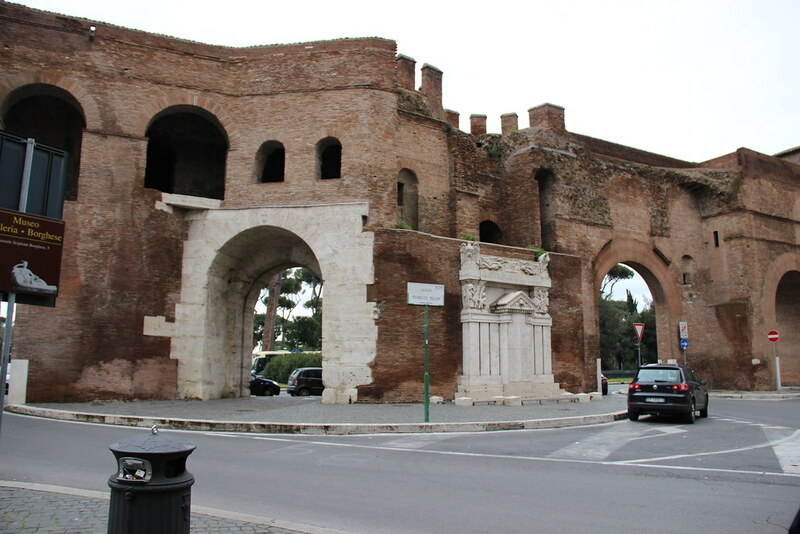 Rome doesn’t seem that much larger than Florence, but everything in it was constructed on such a large-scale. 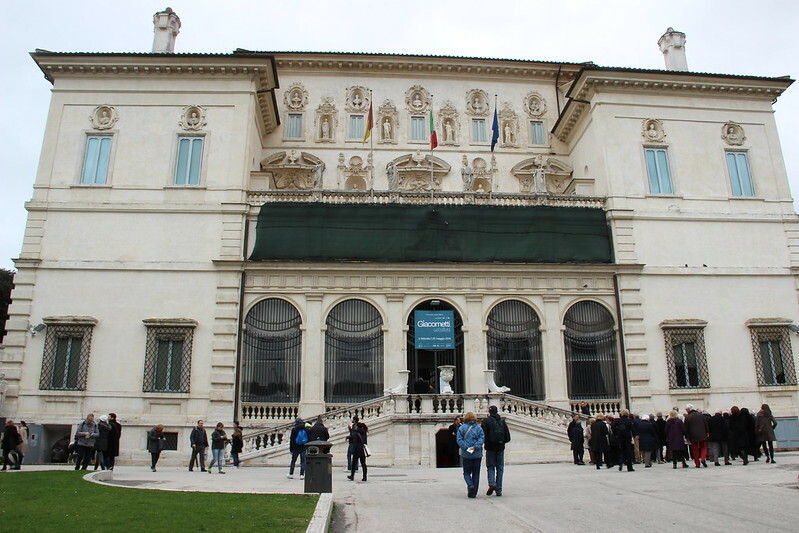 Book tickets and visit the Borghese Gallery and gardens. 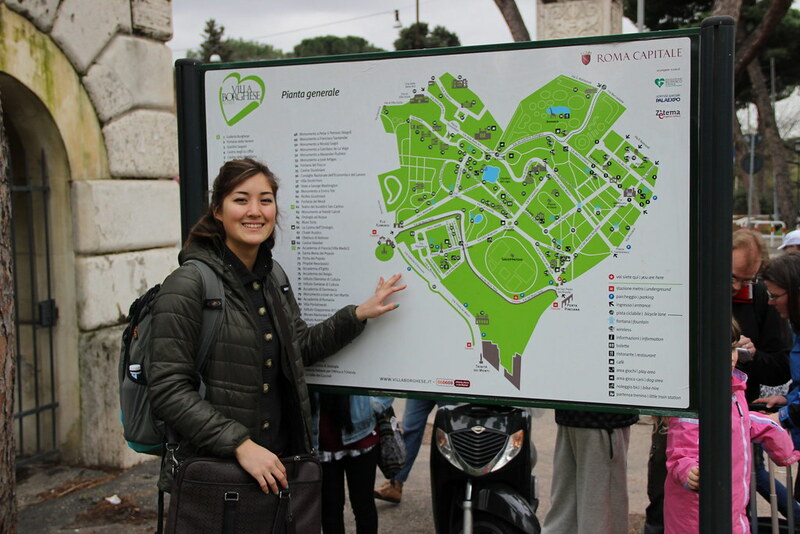 Take a map with you — Rome is pretty confusing to get around. See the Colosseum of course, it’s pretty cool. 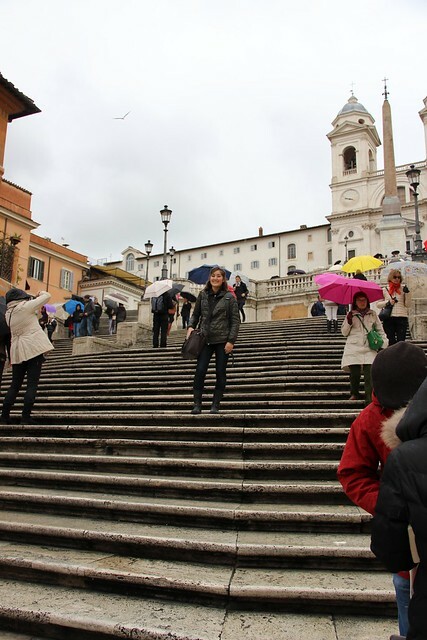 Try to see the Vatican City with a tour group — you’ll likely get to skip the line that way. Mail something from the Vatican city; they have their own post service! 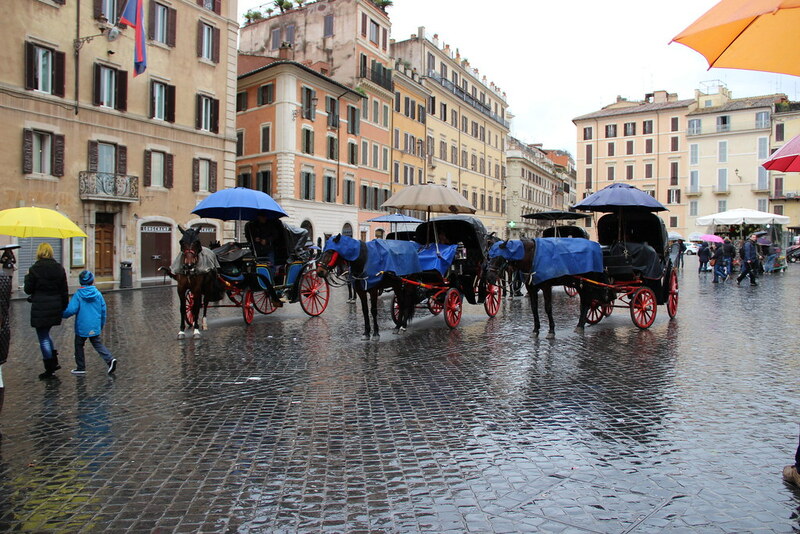 There are some really cheap pizza places near the Trevi Fountain. I don’t eat pizza, but I heard the other kids talking about it. I head the Catacombs were really cool. 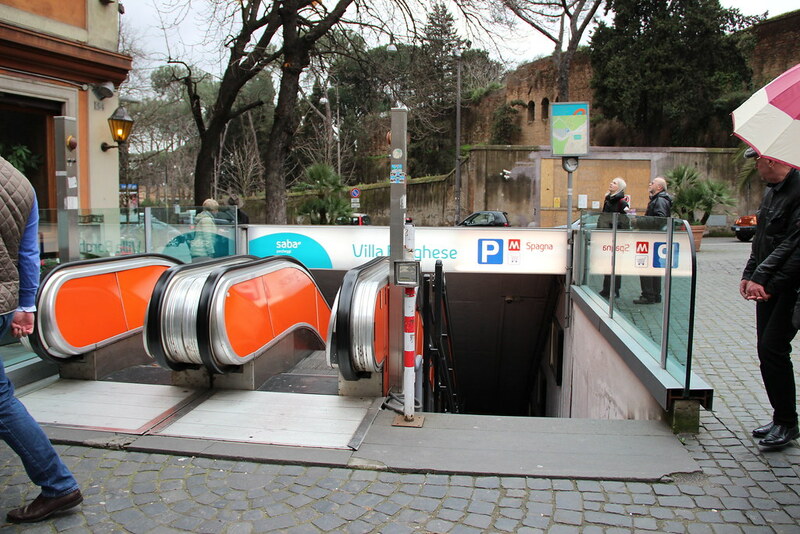 Don’t be afraid of the metro — it looks really sketchy, but it’s a pretty straight-forward system. Bring water proofs if the weather looks rainy. 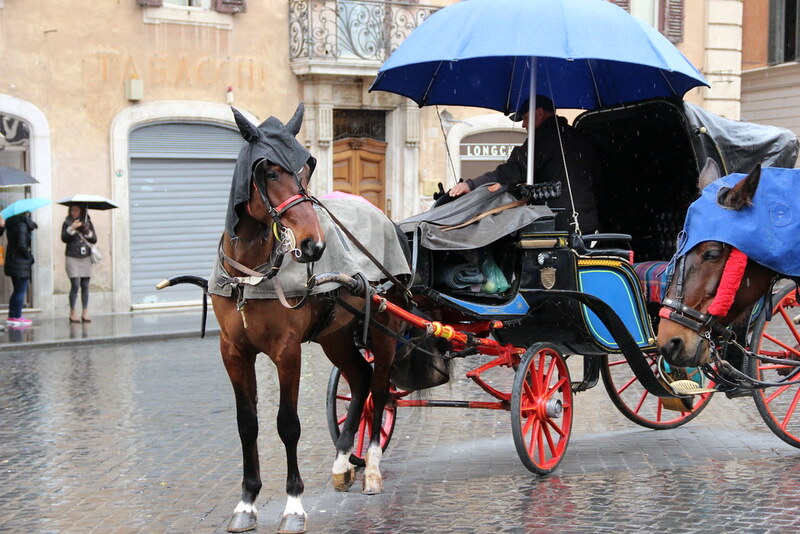 Bring a small/foldable umbrella if you plan on visiting the Vatican. 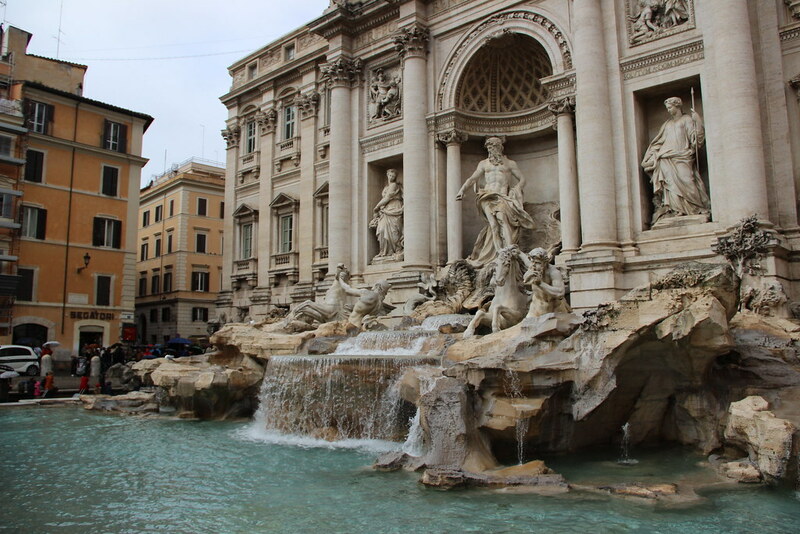 Throw three pennies/coins over your shoulder into the Trevi Fountain for good luck/wishes.